Taliban insurgents beheaded 17 civilians, including two women, in Afghanistan's southern Helmand province. 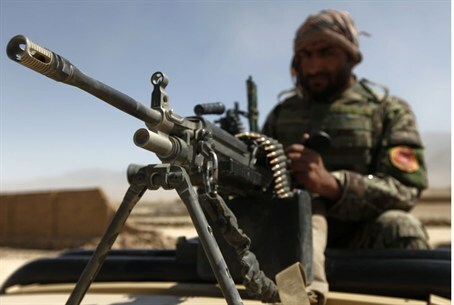 Taliban insurgents beheaded 17 civilians, including two women, in Afghanistan's southern Helmand province, the nation's Interior Ministry said Monday. According to reports, people had reportedly gathered for a celebration and were playing music and dancing. Insurgents, who did not approve of the event, beheaded those involved. Helmand provincial government spokesman Daoud Ahmadi said the attack occurred in the Musa Qala district. It was not clear whether the victims had been shot prior to the beheadings, he said. "The Ministry of Interior Affairs of Afghanistan condemns this inhumane and cowardly act of the enemies of peace and stability and expresses its sincere condolences to the families of the victims," the ministry said in a statement, according to CNN.